It not difficult to see why Ballybane/Old Mervue has become so popular with first time buyers and investors, as this mature residential area still remains affordable despite its convenience to the city centre and its proximity to shopping centres and some of Galway’s largest employers. Colleran's next auction on March 28 will include No 97 Monivea Park, Ballybane, Galway. This three bedroom semidetached home has the added attraction of being situated in a quiet cul de sac and facing a large green area. Accommodation includes an entrance hall, sitting room, and kitchen/dining room. On the first floor there are three bedrooms and a bathroom. The front garden is lawned and offers off street parking for at least two cars. There is a very wide side entrance with a car port offering the potential to extend, subject to planning. The back garden has a large block built garage/workshop. 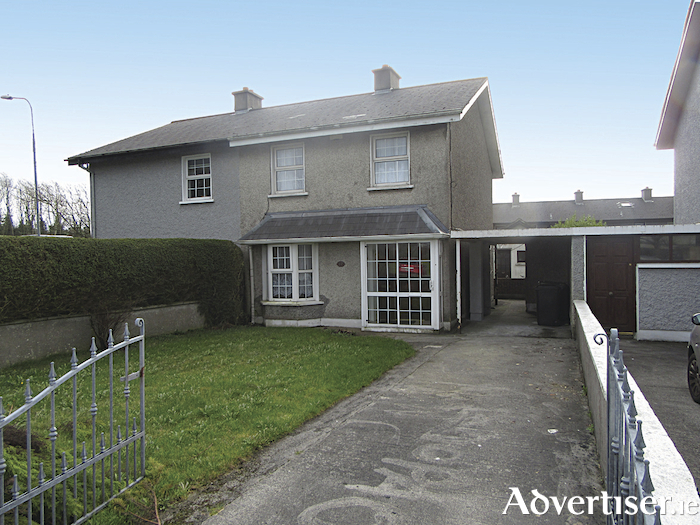 Advised minimum value is €195,000. Open viewing takes place each Saturday from 1pm to 1.30pm. Also included in Colleran's March auction are No 215 Gort Na Coiribe, a quality two bedroom first floor apartment opposite Dunnes Stores on the Headford Road, advised minimum value is €195,000 and open viewing is each Saturday from 11am to 11.30am; No 15 Glenburren Park, Tuam Road, a bright, spacious, detached home in turnkey condition at an AMV of €240,000, open viewing is on Saturday 12 noon to 12.30pm; No 6 Abbey Court, Mary Street, Galway, a two bedroom duplex in the city centre being sold at an AMV of €190,000, open viewing this Saturday 2pm to 2.30pm; No 2 Canal Road Lower, a three bedroom semidetached home in fabulous condition, AMV €295,000, open for viewing on Saturday from 3pm to 3.30pm; and a two bedroom first floor apartment at No 9 The Acres, Knocknacarra Road, AMV €180,000, open viewing on Saturday 4pm to 4.30pm.